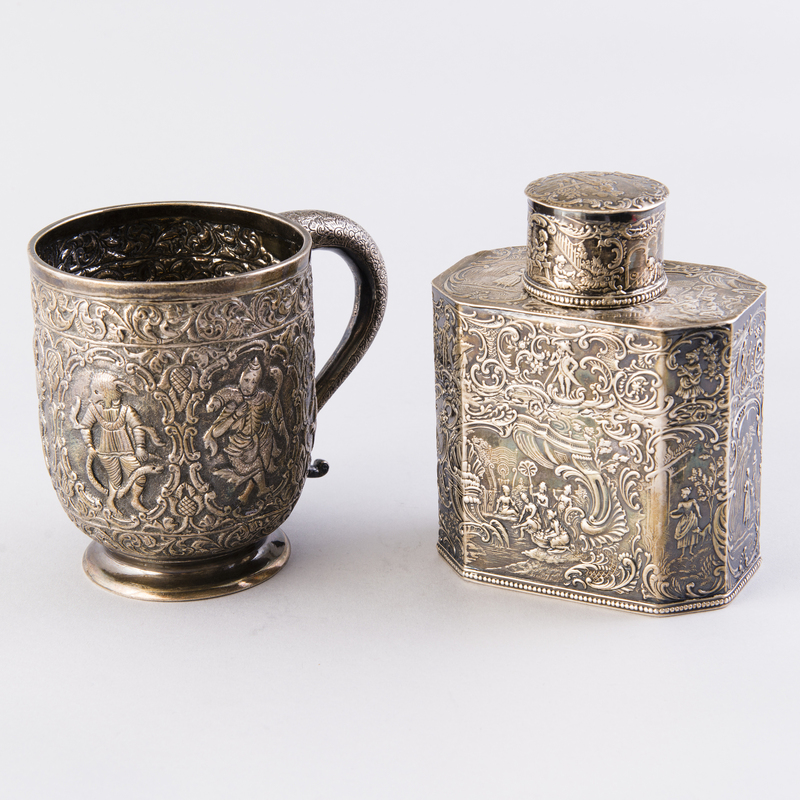 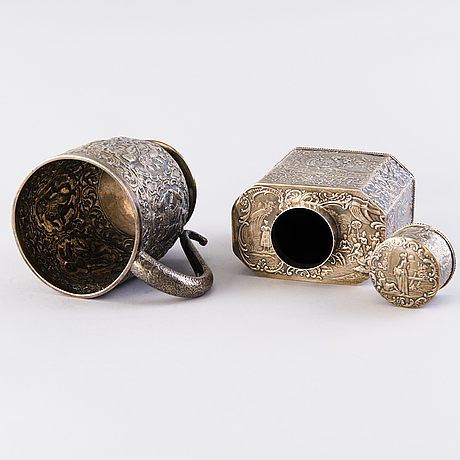 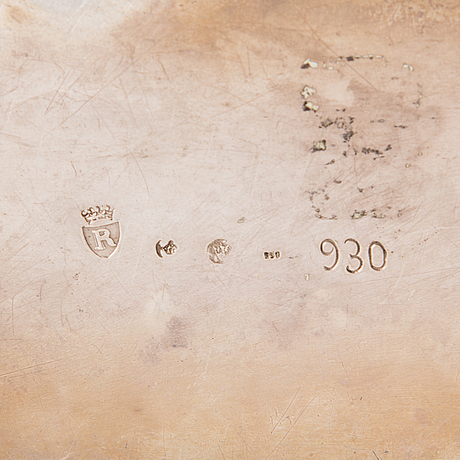 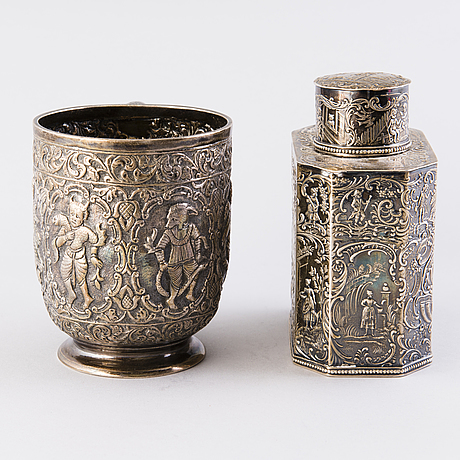 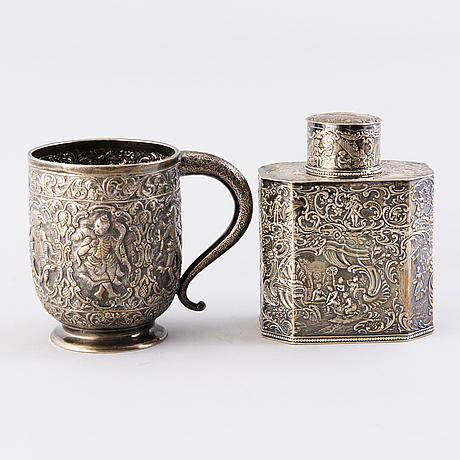 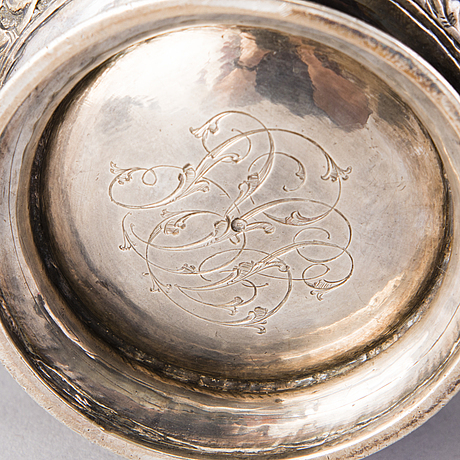 TANKARD AND TEA CADDY, silver, 20th century. 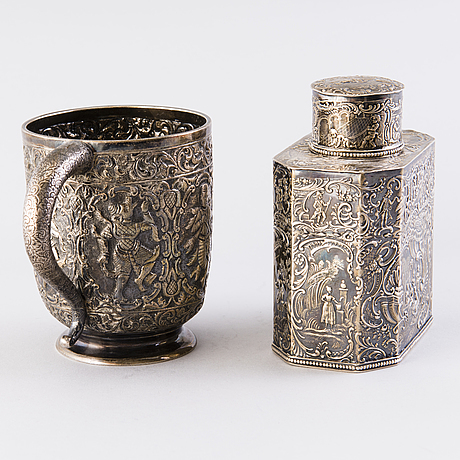 Tankard middle of the 20th century Burma/India, height 11 cm, weight 257g. 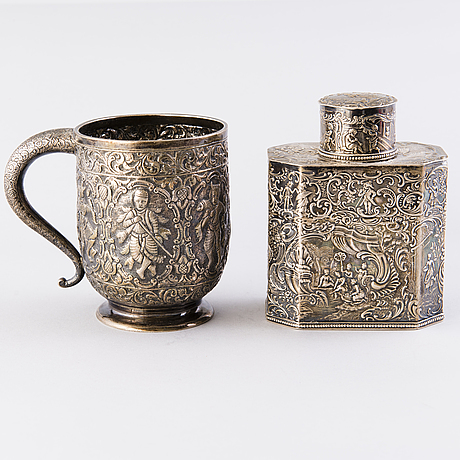 Tea caddy, Germany middle of the 20th century, height 12,5 cm, weight 213 g.